“Grow membership 15% over 5 years,” was the goal, to be reached through a combination of retention and new member/club development. While they had already identified the WHAT — the issue, determined the HOW MUCH – the goal, and the WHEN to do it (now), the real job was just beginning. Leaders now faced the bigger task — HOW. When looking at the historical data in detail to plan the strategy, another trend became apparent. Clubs in the smaller, distinct communities of the district were growing, while their sister clubs in Vancouver were shrinking. As the majority of the district’s population resides in urban Vancouver, this discovery carried an alarming prognosis if a solution was not found. For decades, the Vancouver (Downtown) club was considered to be the flagship in the region: in size and influence, and as the creator of multiple new clubs. For some years; however, the district trend had been going in a different direction: clubs in the stand-alone communities were gaining strength at the same time membership was shrinking in Vancouver, declining to the extent that some clubs were now struggling for survival. In digging further, the leaders determined a key factor in this trend was “identity.” The smaller communities had a distinct identity, as did their Rotary clubs which had built an affinity with their communities. In the “big city,” there was less of that connectivity as residents often commuted across the city from home to job, passing though many neighborhoods, losing the bond and sense of support to any of those communities. Compounding this effect was the lack of coordinated membership and visibility development between the nine city-based clubs. With each conducting its own initiatives in different ways, it presented a confusing and fragmented message to the public. Finding a way to address these issues, a way for urban clubs to create a unified identity and common approach to membership, was crucial. With these findings in hand, a team of district leaders was charged to develop a strategy: PDG Garry Shearer, PDG/membership chair Hans Doge, DGND Don Evans, and AGs Tom Smith and Bala Naidoo, all residents of the Vancouver area. To make the strategy truly effective, they recognized the best way, no matter what it was, needed to come from the clubs. They would provide the stimulus and an environment where club leaders could come together, to join in a discussion of the issues and identify common action. The target would be to help clubs see the benefits of working together — rather than competing — to solve road blocks related to growing membership. Tom Smith noted the primary objective from the district’s perspective was to find a way to stabilize clubs and to increase membership, using whatever path it took. Develop a plan and timeline for implementation steps, including a club inventory, identification of needed support tools, a shared public communication strategy, to define what success looked like and a method of measuring results. One of the challenges identified during this process was a lack of shared, effective membership tools. As some Rotarians were more comfortable than others at discussing Rotary with potential members, support materials identified were those which could be used easily by any member to deliver a consistent high-impact message and contain a common point of contact for more information. Club PowerPoint – For champions to present the strategy at each club. It describes the initiative and the reasons, demonstrates the tools and describes how members can get involved. Business card – To be used by any member in Vancouver when talking with non-Rotarians. It is customized with club information and includes a space for the Rotarian’s contact details. Members will tally how many cards are handed out, and the resulting number of guests and new members as the basis of measurement of success. Membership brochure – Given to each club guest, including speakers, and distributed at every external club event. 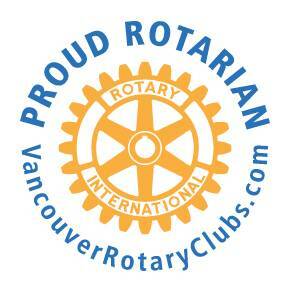 “Proud Vancouver Rotarian” decals (clings) – Posted at members’ workplaces and on their cars. Display booth – Used by clubs during public events. Rotary Vancouver website vancouverrotaryclubs.com – An outwardly-facing site with information about Rotary and why/how to get involved. It links to club sites and social media, and is printed on all membership materials. The “Working Together” process has moved ahead to full roll out and club champions are now presenting the initiative at club meetings. “This strategy pools the efforts and resources of all clubs,” Garry Shearer pointed out. 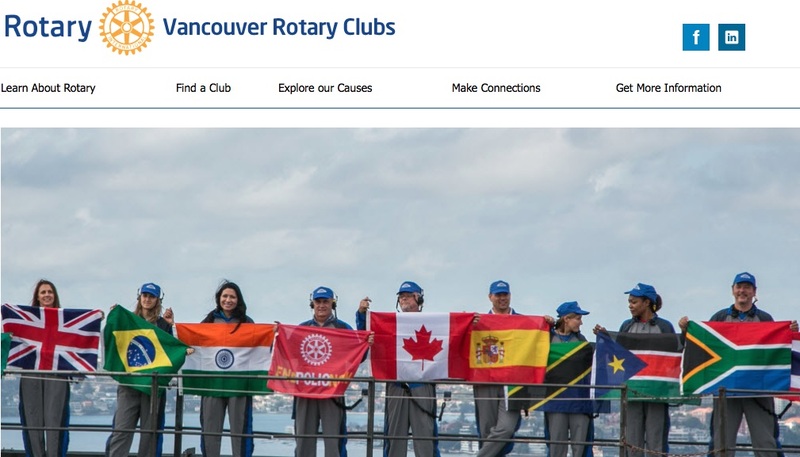 A consistent approach will help to strengthen the visibility and membership of Rotary in the city of Vancouver, rather than having multiple individual plans underway. Tom noted that the process is already resulting in changes. For example, one club, realizing its image lacked clarity, has changed its name to create a closer connection with the community where it meets. For more information on the development of the Vancouver membership process, contact Don Evans, D5040, don_evans@telus.net. If your district or club is seeking other ideas and tools, or need help in planning your membership strategy, contact the Rotary Coordinator in your region. It can fetch you information regarding any particular contact stored inn an i – Phone. This article shows how cell phone tracking by SMS can be implemented. products require the usee of 2 boards.